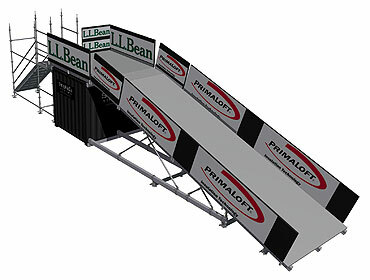 Another custom StackBox Structure was the creation of mini Snow Flume that was designed for the tight space requirements in LL Bean’s Discovery Park. The LL Bean Snow Flume was living proof that size… does not matter! This mini version of the larger Snow Flume had a never ending line of sledders on the ramp. LL Bean teamed up with its sledding vendors to provide a demo event of its latest and greatest sleds. 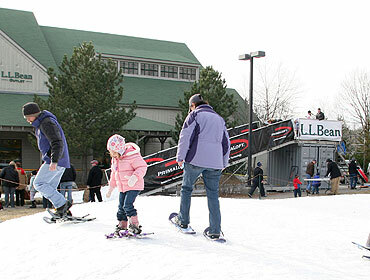 The Snow Flume was one of the highlights of LL Bean’s 2008 Winter Expo.